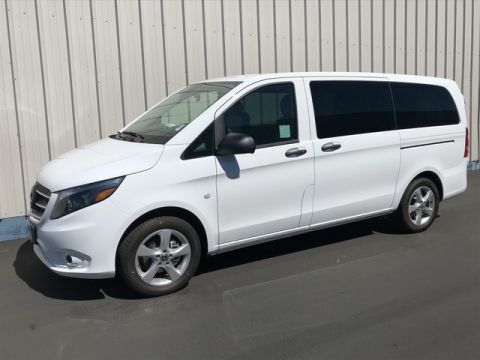 3rd Row Seat, NAV, Back-Up Camera, iPod/MP3 Input, Rear Air, ENHANCED AC PACKAGE, DRIVER COMFORT PACKAGE, DRIVER EFFICIENCY PACKAGE, Turbo. 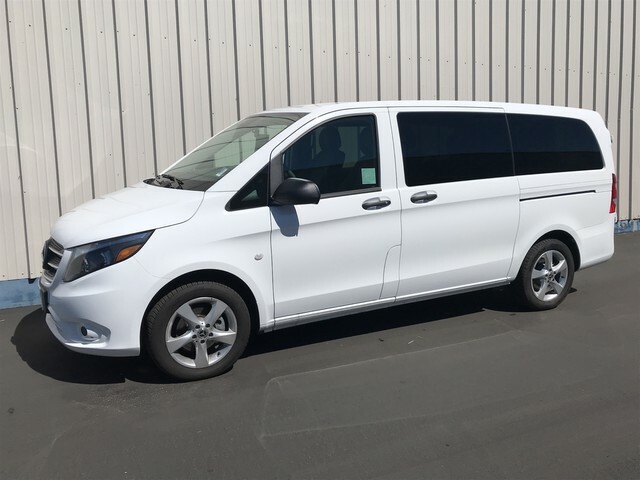 Arctic White exterior and Black Leatherette interior, Metris Passenger Van trim READ MORE!======KEY FEATURES INCLUDE: Third Row Seat, Rear Air, Back-Up Camera, Turbocharged, iPod/MP3 Input MP3 Player, Privacy Glass, Keyless Entry, Child Safety Locks, Electronic Stability Control. 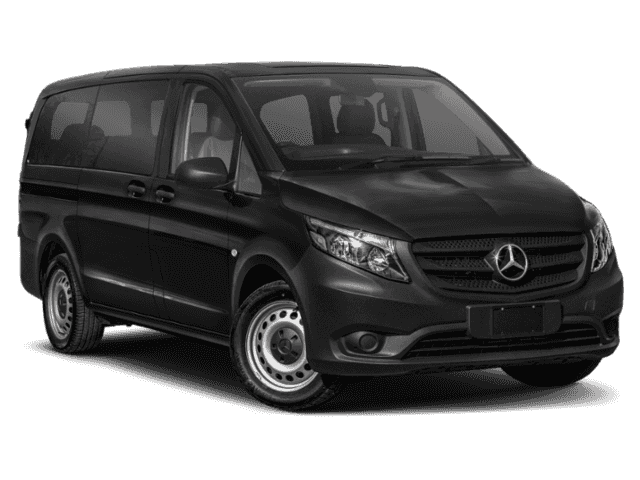 ======OPTION PACKAGES: ELECTRICAL SLIDING DOOR PACKAGE Driver Side Electric Sliding Door, Passenger Side Electric Sliding Door, DRIVER EFFICIENCY PACKAGE Fog Lamps, Becker Map Pilot Navigation System, Lower Console Storage Tray, Cruise Control, ENHANCED AC PACKAGE Automatic Climate Control, Air Conditioning Enhanced Power, DRIVER COMFORT PACKAGE Comfort Passenger Seat, lumbar support, Passenger Seat Lumbar Support, Comfort Driver Seat, lumbar support, Driver Seat Lumbar Support, 2 Additional Master Keys, Passenger Seat Backrest Storage Net, Driver Seat Backrest Storage Net, Comfort Suspension, HEATED & ELECTRICALLY ADJUSTABLE EXTERIOR MIRRORS. 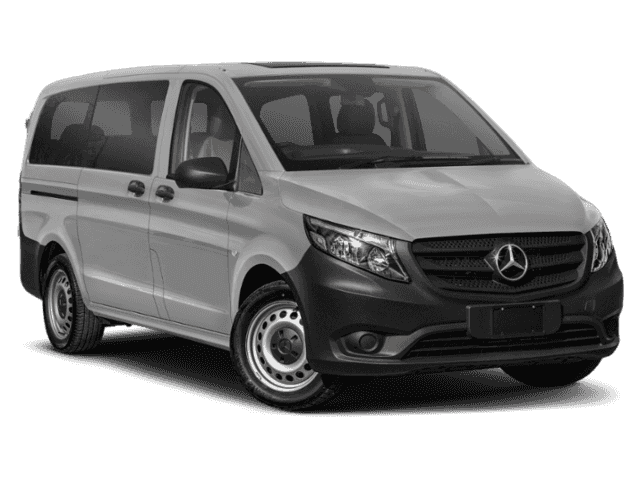 Mercedes-Benz Metris Passenger Van with Arctic White exterior and Black Leatherette interior features a 4 Cylinder Engine with 208 HP at 5500 RPM*. Horsepower calculations based on trim engine configuration. Please confirm the accuracy of the included equipment by calling us prior to purchase.